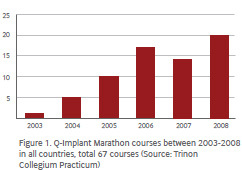 Since 2003 the Trinon Collegium Practicum has assisted over 2000 surgeons to insert more than 40 000 implants in practical courses, helping them to develop their practical skills. The courses are being conducted by very experienced international surgeons providing Implantology newcomers with advice and assistance in inserting 30 implants in 5 days. Professionals can expect to conduct difficult operations ranging from sinus elevations to highly complicated grafting cases with assistance from our internationally recognized surgeons. The one-week hands-on course gives the opportunity to collect practical experience in implantology, pre-implantological treatment and in extremely complicated cases under supervision of a team of highly skilled tutors. The courses are based on collaboration between the Trinon Collegium Practicum and established university clinics in Cuba, the Dominican Republic, Cambodia and Laos. seminars for surgeons were not being offered and this resulted in lack of experience and a hesitation while inserting implants. The Q-Implant Marathon benefits the surgeons by gaining experience, the local clinics which conduct case studies and the especially the patients who rediscover a new quality of life with new teeth. 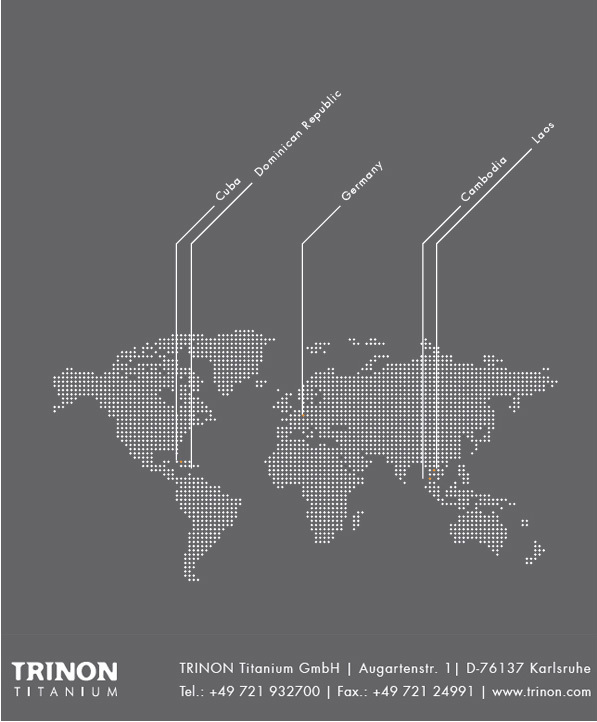 The courses gained popularity with all stakeholders and since its beginning in 2003 over 95 courses in 4 countries have been conducted by the Trinon Collegium Practicum, a research institute commited to the promotion of implantology and its benefits for patients. 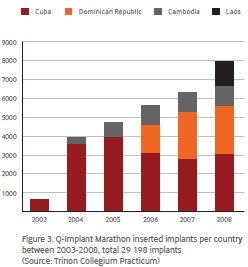 The courses, with its credo "Learning by doing", have seen a rising number of patients over the time, by 2008 the number reached over 8 700 patients with over 29 000 implants inserted. Courses Information Working in teams of 3 participants, the courses include 40 hours of practical surgery aiming at intensifying theoretical knowledge and gaining practical experience in Implantology. There are three skill levels being offered by Trinon Collegium Practicum, please find the requirements below and note that final assignment will be conducted by the course supervisor and his/her decision is final. Beginner Course Curriculum	You will gain basic practical experience in implantology by placing 30 implants as main surgeon under the supervision of the teacher. Furthermore you will participate in approximately 60 operations by assisting other colleagues in the group. You will receive an introduction to the basics of bone augmentation and reconstruction and you can take part in training for prosthetic treatment. You will expand on your practical experience by treating extreme implantological cases. You will also participate in big sinus-lift operations with autologious bone, learn techniques of talking bone extra-oral and onlay plastic/titanium mesh applications. International team of tutors The Q-Implant Marathon in Santo Domingo is headed by Dr. Valencia who is supported by an acclaimed team of assisting tutors. Tutors have a long-standing experience in implantology as practitioners and have published articles, case studies and opinion pieces in their respective fields. During the Q-Implant Marathon the tutors aid participants during operations, give advice on treatment and procedures and lead discussions targeted at developing knowledge. Dominican Republic, Santo Domingo The course in Santo Domingo is conducted in teams of 3 doctors with one tutor for approximately 8 hours a day. Patients will be prepared by logical clinics in advance and prosthetic treatment will be made immediately after the operation allowing the surgeons to participate in the treatment. In the evening clinical meetings and discussions offer excellent opportunities between participating surgeons and teachers. At the end of the course, participants will receive a Certificate from Trinon Collegium Practicum indicating the quantity of inserted implants or main operations. The local authorities do not make any exceptions and without these documents you will not be able to sing on for the course. The final decision for participation in groups Advanced I & II will be made by the medical supervisor of the group. Accommodation at Be Live Hamaca Hotel? A valid passport (6 months from the last day of the course) is required. Visa is issued on arrival. When leaving the Dominican Republic a departure fee will have to be paid. Please keep some US dollar for this case. If you have preferences bring your own Anesthetic, suture material and pain relief. Please bring your own OP-clothing and shoes. Digital photography is useful and encouraged for your own case studies and discussion. Please view the website of the Foreign Office for information regarding the country. Light clothing is recommended. Mosquitoes are common so don't forget to protect yourself. A First Aid Kit is recommended. standards. Each patient is prepared prior to implantation by a local team of doctors with a PTC and if required extensive remediation. Follow-up care and after treatment are being provided by the local clinics or if requested by the patient by other dentists. Each patient is checked at least once a year. The implantation is free of charge for the patient as is the prosthetic treatment in the local clinic. The courses are designed to be solely hands-on for the surgeon to gain practical experience with patients. It is useful for newcomers to develop basic surgical skills such as incision and suture techniques. Theoretical knowledge in dental inplantology is an important requirement for Q-Implant Marathon courses. Furthermore it is recommended to immerse oneself with during the courses. During day time all event locations are safe but during night time excursions reasonable caution should be taken. The course manager will provide you with more information if required. It is recommended to have a medical check upfront of the course. Further information can be obtained on the website of the Foreign Office or by consultation with specialists in tropical medicine. The registration is only valid when full payment is received. This should be arranged 8 weeks before the start date. 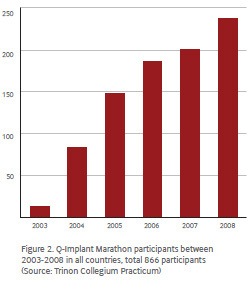 For more information see the Q-Implant Marathon general Terms & Conditions. © by Optimum Slutions Group LLC.